This recipe is an adaptation of a traditional Parisian Herbed Potatoes dish. I like this Parisian Parsley Potatoes dish because it’s got only 5 ingredients, it takes less than 30 minutes to prepare and its flavor is simply decadent. You could use any small (or new) potato but I recommend the traditional red new potatoes. They have such a great color and the skins are quite tasty. You melt the butter in a heavy pan. Then add the potatoes, salt, and pepper – and stir to coat. Cover the pan and let it cook on medium-low for about 30 minutes, shaking every 5 minutes so that the potatoes on the bottom of the pot don’t burn. When the potatoes are done, toss with parsley and serve. Don’t these potatoes look delicious. Did you notice which of the 5 ingredients is missing? The parsley! Even when you only have 5 ingredients, you must pay attention to the recipe. I had plated the potatoes and after shooting a photo realized I had totally forgotten the parsley. 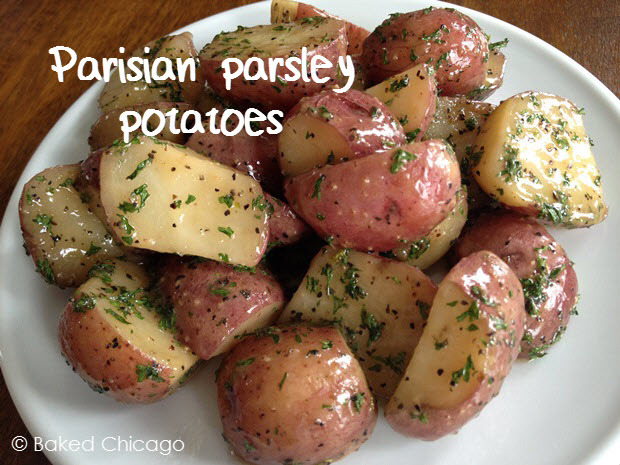 What’s Parisian Parsley Potatoes without the parsley? Potatoes that are buttered, salted and peppered. Still good ,but missing a star ingredient. Even if you make an error with this recipe, it’s easy to fix. I simply put the potatoes back in the sauce pan and tossed with the parsley. Situation under control! Melt the butter in a large heavy sauce pan. Add the potatoes, then salt and pepper. Toss well until potatoes are coated. Cover the pan and cook over medium-low heat for 25 to 30 minutes, or until the potatoes are tender when tested with a small knife or fork. 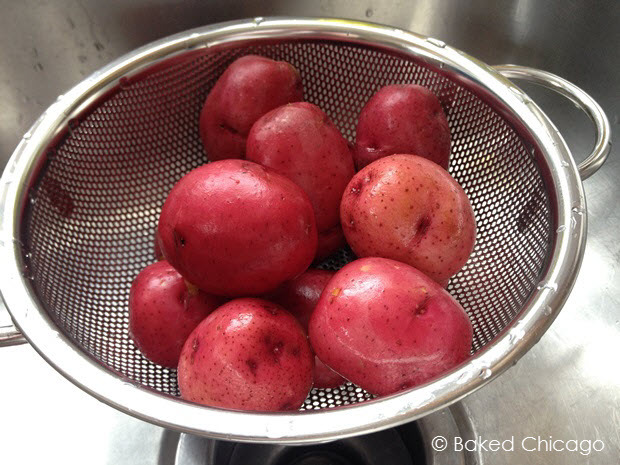 Occasionally shake the pot without removing the lid to prevent the bottom potatoes from burning. Turn off heat and let potatoes continue to cook (with lid on the pan) for another 5 minutes. Toss with parsley and serve hot. 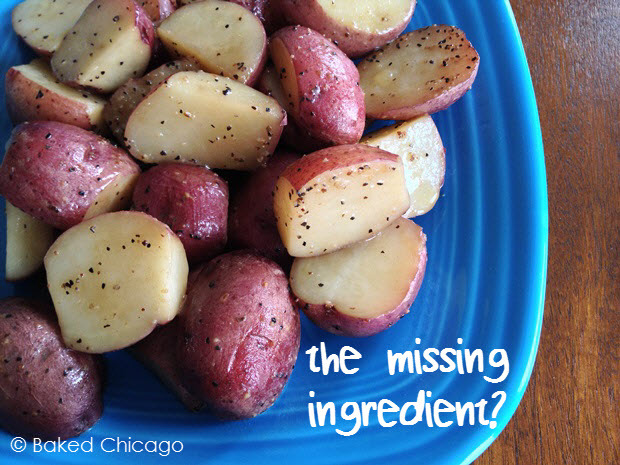 Recipe adapted from Ina Garten’s Herbed New Potatoes in “Barefoot in Paris” cookbook.